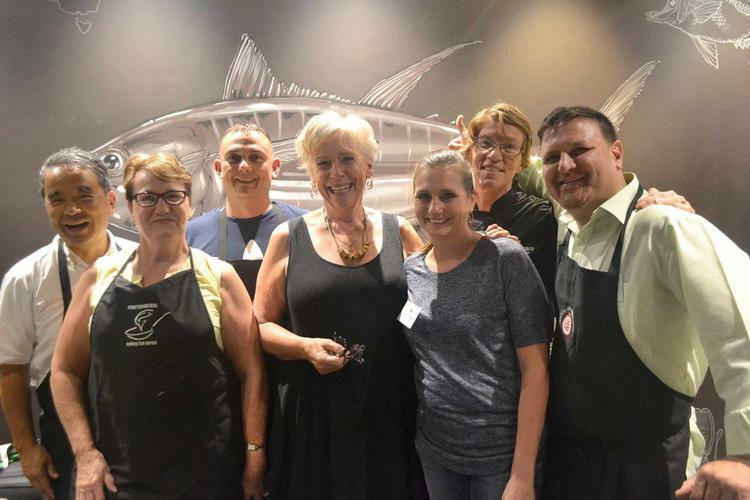 Having inspired aged care chefs and cooks with programs in the Barossa Valley and Sydney, Maggie Beer's popular education program, Creating An Appetite For Life, is coming to Melbourne, 26-27 September 2016. Creating An Appetite For Life is something Ms Beer would love every chef and cook working in aged care to have access to. “It would come as no surprise that I loved food all my life; it’s my joy, and sometimes my heartache, but we can fix that, and together, we can improve the health, happiness and quality of life of every older Australian,” Ms Beer explains. The 2-day program consists of cooking demonstrations from celebrity guest chefs and engaging in lively conversation with aged care dietitians and food safety experts. Attendees will also share in the wisdom of guest speakers, such as HammondCare's Executive Chef Peter Morgan-Jones, Associate Professor in Ageing and Health in the Faculty of Health Sciences University of Sydney Lee Fay Low and Founder of Food Safety Systems James Shepherd. Mr Morgan-Jones says the program acknowledges the hard effort put in by aged care cooks and chefs, and recognises they are doing a great job. “We give ideas, share recipes and teach more about food and nutrition,” he says. He also believes attendees will learn a lot about food safety and how to work with employees. “Everyone I’ve seen is a catalyst for change and will inspire the staff they work with,” he adds. “The program is good fun too!” he says highlighting the MasterChef type aspect where attendees cook a meal with given ingredients and within a set budget. As well as learning opportunities, the program offers the chance to network and share ideas plus there are opportunities for catch-up meetings a few months later. Previous attendees have found the program extremely inspiring. Toni Chubb from Indigo North Health says: “My mind is running a million miles an hour, trying to get my head around all the wonderful ideas that each and every one of us brought to the table. A huge thank you to Maggie and her dedicated and passionate team for giving us the opportunity to experience this journey, and for reigniting the passion in us to know that we can make a difference”. The program is open to cooks, chefs and anyone who is involved in food in aged care homes. The Maggie Beer Foundation is offering a limited number of fully funded scholarship positions to the program. Information on scholarships is available within the application form. Closing date for applications close 5pm on Monday, 8 August 2016.